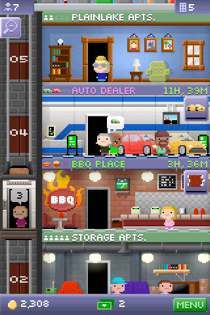 If I had to give you an idea of what Tiny Tower [Free] is, I’d say something like: It’s free(mium), it’s fun, it’s highly addictive. 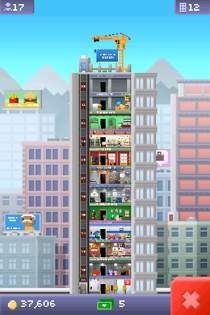 With Tiny Tower, developer Nimlbebit has really hit the sweet spot when it comes to designing a fantastic freemium title. And if I tell you that the already great Pocket Frogs [Free] was from the same developer, you know what to expect. The gameplay is rather simple: Your goal is to grow your Tiny Tower by adding new floors, moving in new citizens (called bitizens) and employing them in the various businesses that you set up in your tower. To get things done, you need two resources: Money in form of coins, and time in form of Towerbux. Everything in Tiny Tower has its price and after you bought it, it will take some time until it’s available. That’s where the Towerbux come in – you can spend them to shorten that time. So, how do you get hold of these two resources? Earning coins is very straight forward; just sell the stuff in your stores to your bitizens and you’ll get some coins for it. Towerbux on the other hand are pretty hard to come by. Every now and then your bitizens tip you a Towerbux when you find someone for them or take them to the floor they want to. You’ll also get some for certain achievements like putting a bitizen into his dream job or fully stocking one of your shops. So you do come across them here and there, but you won’t get nearly enough to add new floors all the time. Well, this is where the freemium concept comes in. You can buy Towerbux as an In-App Purchase to accelerate your progress. Unfortunately, Nimblebit has changed the way that Tiny Tower behaves quite a bit since its release. So while a few weeks ago you could build along pretty quickly without the need to buy any Towerbux, the game is nowadays significantly slower if you don’t make use of the In-App Purchases. 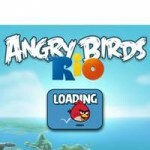 While these adaptions to the gameplay mechanics are obviously not the most popular ones, it is understandable from Nimblebit’s point of view – something needs to put food on their tables after all. 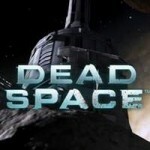 But don’t get me wrong, this doesn’t mean that you can’t play the game without spending money on it. You definitely can. And it’s still fun, too. You just need to be comfortable with the slow progress and that there’s not that much to do all at once. The beauty about this is that, obviously, the game is available for free on the App Store, so go ahead and give it a try! 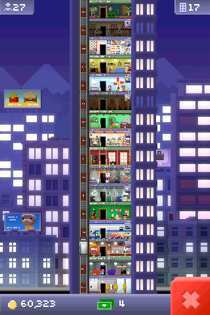 But have in mind: Tiny Tower [Free] can become pretty addictive!